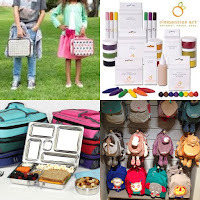 Non-Toxic Munchkin: 2015 Non-Toxic Back To School Guide for All Ages! 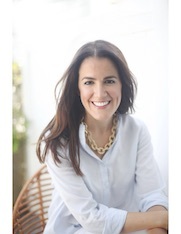 2015 Non-Toxic Back To School Guide for All Ages! It is officially that time of the year again- as we prepare to say goodbye to the long hot summer days, parents and children everywhere are getting ready for the new school year. 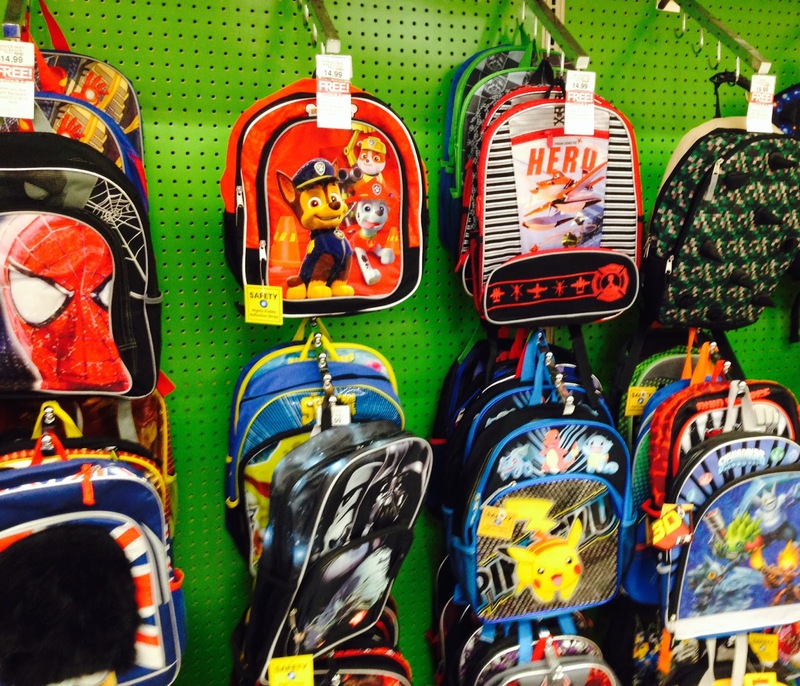 Personally, I remember the excitement I felt going back-to-school shopping as a child. 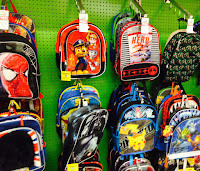 Choosing my new backpack, lunchbox and supplies was always the highlight of the end of the summer; for many kids its a clear expression of who they are or want to be during the new school year. Needless to say, their input is essential, especially as they grow older. Here's the thing: as parents we want our children to choose the coolest character or designs that will make them feel confidant during the new school year, however the reality is that most of these supplies have some bad chemicals which could potentially affect our children's health... look around this year at major retail chains and you will notice the usual suspects of shiny cartoon, super heroes and princess characters on everything from backpacks to lunchboxes to pens and notebooks. 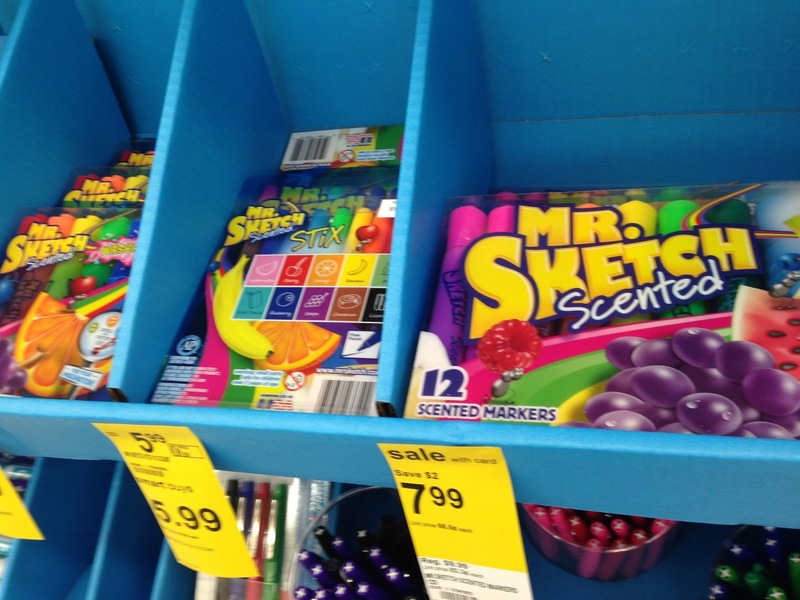 You will also probably notice the smell of plastic lingering in the back to school aisle. The good news? Each year there are more and more non-toxic options available in great designs for all tastes and ages! Description: shiny and smelly plastic: you know what i am talking about - the most common, and usually least expensive supplies, are made of shiny smelly plastic. Alternative: try to avoid plastic when possible. 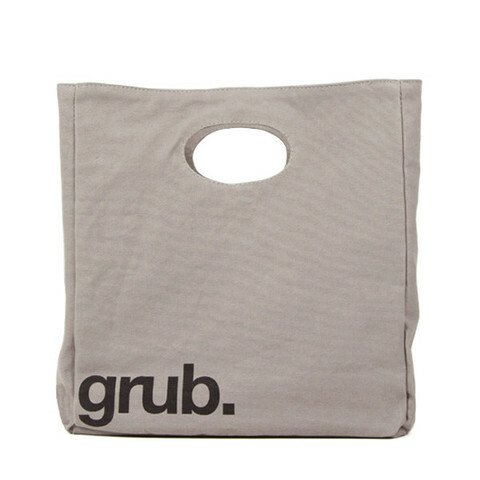 Fabric, canvas, stainless steel, recycled cardboard are all great alternatives. If your child's school list specifies plastic folder/ binder look for those specifically labelled ' pvc free' . Polypropylene ( #5 in the recycling triangle) ones from brands like Avery are a good option. The problem? 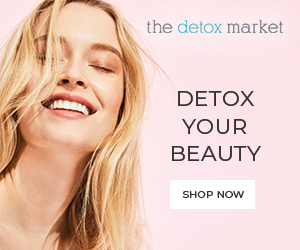 While many companies have phased out BPA from their products even BPA free products can contain chemicals very similar to BPA which could be accumulating inside your child's body and mimicking their hormones. This class of chemicals are known to be linked to breast cancer, obesity, among other ailments. Additionally, placing hot food in plastic containers, or heating foods in plastic containers makes the chemicals in the plastics leech into the food- never heat food in plastic containers! Alternative: after spending time planning out your child's healthy lunch and snacks for the week the last thing you want to be doing is exposing them to these chemicals. Choose reusable fabric snack bags or stainless steel as an alternative to plastic- especially for all things that come into contact with food. The problem? Environmental Working Group Action Fund, recently found certain crayons  containing asbestos fibers. Asbestos is a known carcinogen. Experts say there is no “safe” level of asbestos exposure. Even short exposures—just a few days—can cause serious lung problems. According to the EWG "There are no rules banning asbestos contamination in many consumer products (including) toys." Even though the asbestos fibers were mixed with the crayon's wax, making it harder for it to escape and your children breath it is, if you children put things in their mouth like mine do- its an unacceptable risk. Alternative:  Avoid "antibacterial” or “antimicrobial” or "microban" labels - even in items labelled as non-toxic. Take advantage because you can still choose these items to your liking! Itzy Ritzy Snack Happens Reusable Snack Bag, Fresh Bloom  : Say goodbye to plastic sandwich bags for good with these washable ones that are great for packing healthy snacks. Available in multiple designs and in two sizes: snack size and larger (sandwhich ) size. 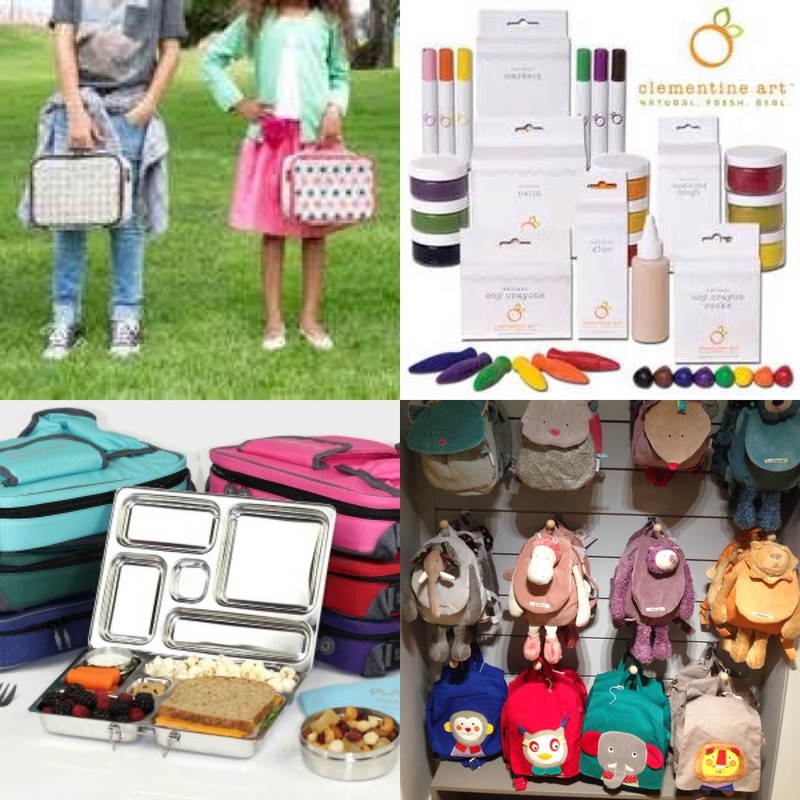 Honest Company Lunch boxes: made in collaboration with So Young these lunchboxes feature some of the Honest Company's cute diaper designs. Beatrix New York Little Kid Pack - Dolce & Panna  : Designed for 2 to 5 years olds, these adorable designs make you smile and are free of PVC, lead, and phthalates. 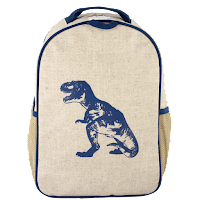 SoYoung Toddler Backpack - Pink Birds  (PVC-, pthalate-, and BPA-Free) This year their dinosaur print is the backpack of choice for my Kindergartener! Their designs that are the perfect combo of sweet and urban. Paris and my little munchkin (age 2) loves his monkey backpack- even though he is carrying around his blanky and not any books this year! Glob All Natural Paint Kits  :  paints made from fruits, vegetables, flowers and spices. Clementine Art: From crayons to paints, this natural and non-toxic brand is sure to have all the art supplies your child needs for school. Earth Grown Crayons: made from natural soy wax with non-toxic mineral and organic pigments. Make sure to include your elementary school, probably opinionated, child in picking out their supplies! Suddenly the 'right' superhero or princess or other character can make or break the back to school experience! 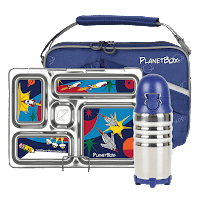 ECOlunchbox Three-in-One Stainless Steel Food Container Set : Avoid leaching and messy plastic food containers with this BPA- and lead-free compartmentalized lunchbox. Itzy Ritzy Snack Happens Mini Reusable Snack and Everything Bag, Under The Sea, Mini : Say goodbye to plastic sandwich bags for good with these washable ones that are great for packing healthy snacks. 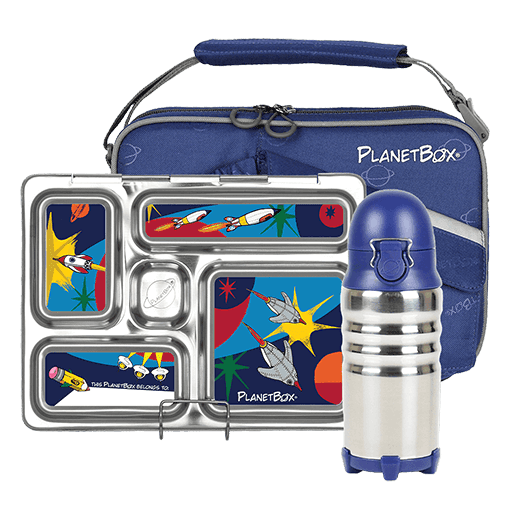 PlanetBox Rover Lunchbox - Blue Carry Bag with Dinosaur Magnets  A great all stainless steel bento box lunchbox. LunchBots Bento Trio LARGE All Stainless 3 Section Food Container For Adults and Children :  with compartments that allow you to separate food. Blue Avocado - (Re)Zip Lunch Reusable Storage Bags Kiwi Solid - 2 Pack : Made of FDA-grade PEVA material (which is also PVC, BPA and Lead free) these come in small sizes (for snacks) and larger (perfect for sandwiches. Honest Company Lunchboxes:  made in collaboration with So Young these lunchboxes feature some of the Honest Company's cute diaper designs. Honest Company, Kids Backpacks : Available in two colors (these backpacks are not only free of PVS, flame retardants, latex, glues, chlorine, phthalates, PBA, BPS & AZO dyes but when you purchase one Honest Co will hand deliver one backpack filled with essential products to a child entering Kindergarten in need. Milkdot Official Top Kat Backpack/Rucksack (One Size) (Tangerine)  Created by a mom who wanted healthier, safer products for her kids, this bag fit for a superhero is PVC-free, BPA-free, and tested lead-safe. SoYoung Toddler Backpack - Blue Dino  (PVC-, pthalate-, and BPA-Free) delight both the parent and child with designs that are the perfect combo of sweet and urban. The North Face Happy Camper Backpack Big Kids Style (Sugary Pink/High Rise Grey)  are " PVC, lead and Pthalate free"
Earth Grown Crayons that are made from natural soy wax with non-toxic mineral and organic pigments. 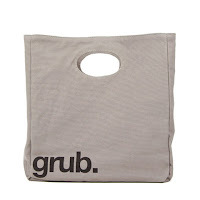 Rebel Green Reusable Lunch Tote: Bring your lunch to high school with this eco-chic sack and reusable napkin made from 100% organic cotton. Lands’ End Natural Zip-Top Canvas Tote: Perfect for reuse, these timeless and durable totes can take you from grad school to work to the farmers’ market. Glob All Natural Paint Kits : Responsibly packaged art products sourced from natural, recyclable, and biodegradable materials, like paints made from fruits, vegetables, flowers and spices. New Leaf Basic 100% Recycled Paper Composition Book, 100 Sheets, 9.75 x 7.5 Inches, College Ruled, Black Leaf (4512305) : Keep minds and trees growing with 100% post-consumer recycled paper. Rock Paper Notebook: Rock on with paper made from limestone, which saves on water, trees, energy, and has no post-production waste. Nice stuff dear. Thanks for sharing it. Anyone here looking for Leading Kids wear manufacturer and exporter in Delhi. I suggest you to visit Saivana Exports, India most trusted company.